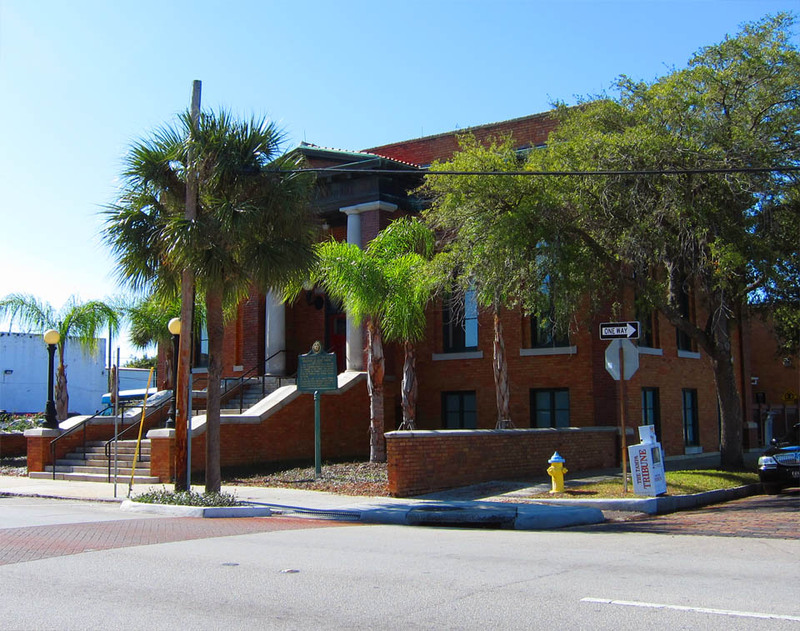 The West Tampa Free Public Library, which opened in 1915 with the help of a $17,500 Carnegie grant, was one of the over 2,500 libraries constructed with the support of over $50 million from Andrew Carnegie. Carnegie believed that free public libraries would provide everyone the opportunity for self-education. 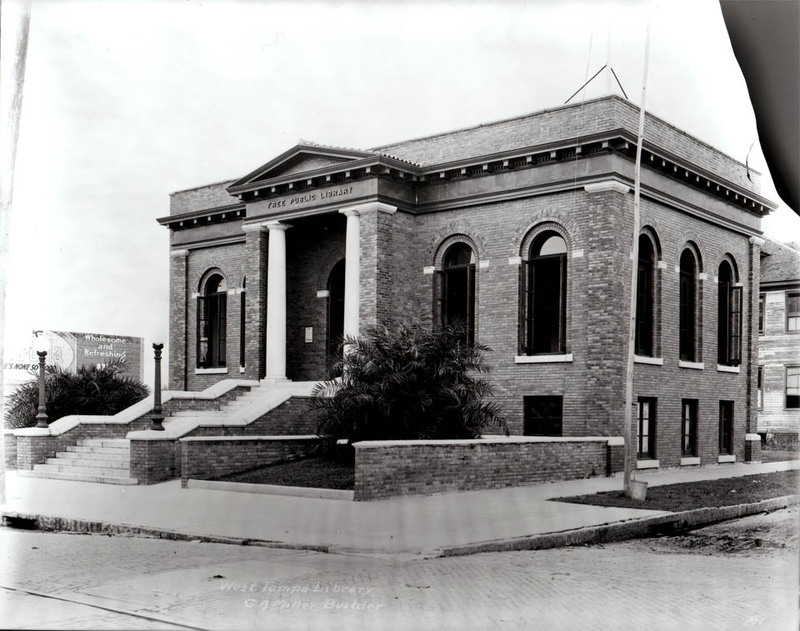 Carnegie’s libraries welcomed patrons by allowing them to enter through a prominent doorway that was nearly always accessed via a large staircase. The entry staircase symbolized a person’s elevation by learning. Outside nearly every library were lampposts that symbolized the person’s enlightenment. Is this library still open for public use? Yes, this building is still used as a public library. Tampa Bay Online recently wrote an article about it.